Oil and gas reserves, as we know, are limited by however much is already in the ground and our ability to extract it. Sure, advancing extraction technologies (fracking, etc) can extend the life of a deposit, but unless we’re waiting for more dinosaurs to die, nobody’s making any new oil or gas. 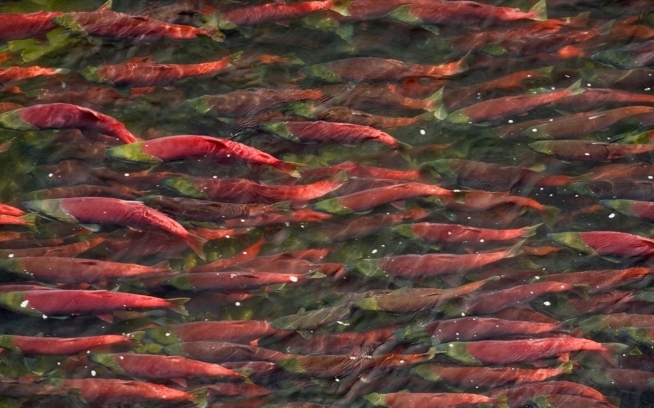 Salmon, on the other hand, if properly managed, are perhaps the ultimate renewable resource. 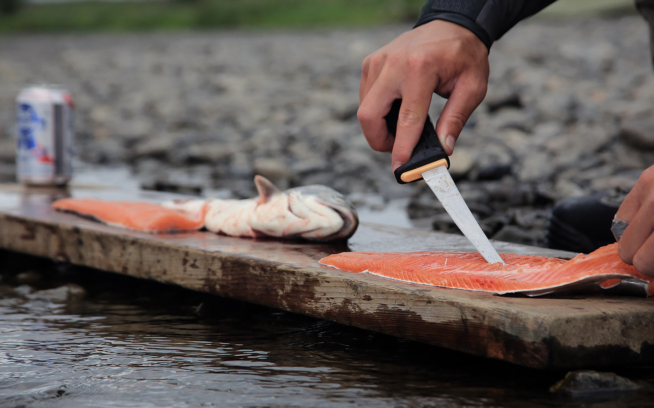 By all accounts, the Bristol Bay salmon industry is one of the best managed fisheries in the world, producing a sustainable $2 billion annual fish economy. The oil and salmon industries are not compatible. It’s one or the other, especially in a place as fragile and fertile as Bristol Bay. We cannot have our cake and eat it too. Which makes this a simple matter of math. No matter how many billions of dollars the oil industry could potentially extract from Bristol Bay, when the oil is gone, it’s gone. And the salmon will be, too. Do we want short-term gain followed by a future without economic prospects, or a sustainable $2 billion a year income that lasts forever? Forever is a long time, and the billions of dollars in steady jobs add up. And that doesn’t even account for the growing tourism and sport-fishing economies that only exist because of the pristine state of Bristol Bay. So this protection is good news; one of the few times where we can see a clear convergence of economic and environmental interests winning out. The long game here makes sense, and Mr. Obama made a smart investment in our future. But we aren’t done. If we apply the same logic to the proposed land-based Pebble Mine (short term gain at the expense of the sustainable salmon economy) the answer is obvious: Forever is a long time. 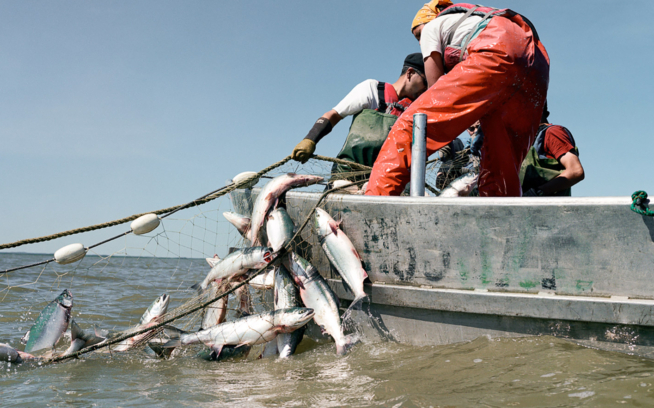 We need to stop Pebble Mine and its devastating effects on the Bristol Bay salmon economy. The way we do that is to ask Congress to support the EPA’s findings. Our newly elected legislators and the ones in place don’t even have to do it for environmental reasons—they can do it in the name of fiscal responsibility. Patagonia thanks Alaska Marine Conservation Council for its work on preventing oil and gas drilling in Bristol Bay. TAKE ACTION: Please thank the Obama administration for protecting Bristol Bay from oil and gas leasing. TAKE ACTION: STOP PEBBLE MINE! Please Tell Congress you support EPA’s ability to protect unique and valuable resources like Bristol Bay.